Rahul was unbeaten on 46 and his partner on 10 as India went into stumps 58/3, 406 runs behind the target. Alastair Cook walked out to bat unbeaten on 46, just four short of completing twin half centuries in his final Test match. Pretty early in the morning that wasn’t the milestone, we were talking about any longer. Joe Root, at the other end, looked comfortable as well. Ishant Sharma bowled just one over in the morning and was out of the field with an ankle trouble. 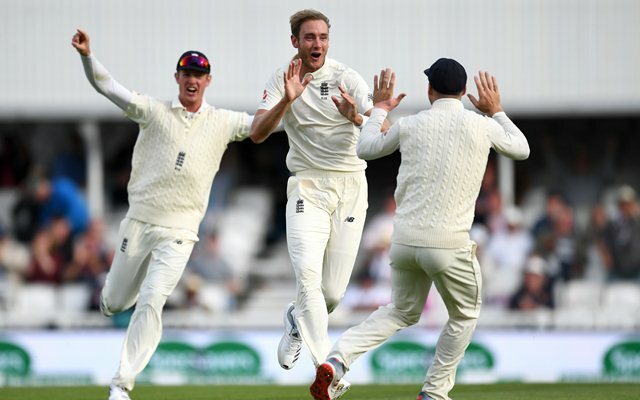 The Indian bowlers toiled hard all day long and finally got a respite when England declared on 423/8. Cook converted his fifty into a massive hundred. It was an occasion the world was watching and he once again showed what he is made of on the grandest of days. The Oval was full of cheerful fans waiting to see their greatest batter put up a final display of himself. He made the Indian bowlers look ordinary. Cook at his best just flowed into the shots, there was a lot of content in his approach. Soon enough as the perfect script would read, he got to a hundred in his ultimate Test knock. The viewers, the fans, the experts everyone stood up to applaud his magnificent effort. Cook brought up his 33rd Test hundred and on the other side skipper Root also got to his 15th century in the longer format. The shoulders had dropped in the Indian camp. The 259-run third wicket partnership that the duo produced crushed any hope there was of making the series 3-2 vanished. Cook for one final time was dismissed for 147 and on the next ball Root got out for 125. It was an unlikely bowler in Hanuma Vihari who got the better of them. English batsmen thereafter walked out with unidirectional intentions to get as many runs as fast as possible. They didn’t care about the wickets. England eventually declared their innings and asked India to bat with 18 overs of play possible. The third and fourth over of the innings almost wrote the fate of this Test match as James Anderson first hit Shikhar Dhawan in front for 1, then sent back Cheteshwar Pujara for a duck. Virat Kohli was out in the middle now, he edged the very first ball to the keeper from Stuart Broad and India were 3 down for 2 runs. KL Rahul and Ajinkya Rahane batted a lot better then. Rahul was unbeaten on 46 and his partner on 10 as India went into stumps 58/3, 406 runs behind the target. No, today’s play isn’t a reflection of how India played in this series. Played much better than this.